Guess what time it is?? 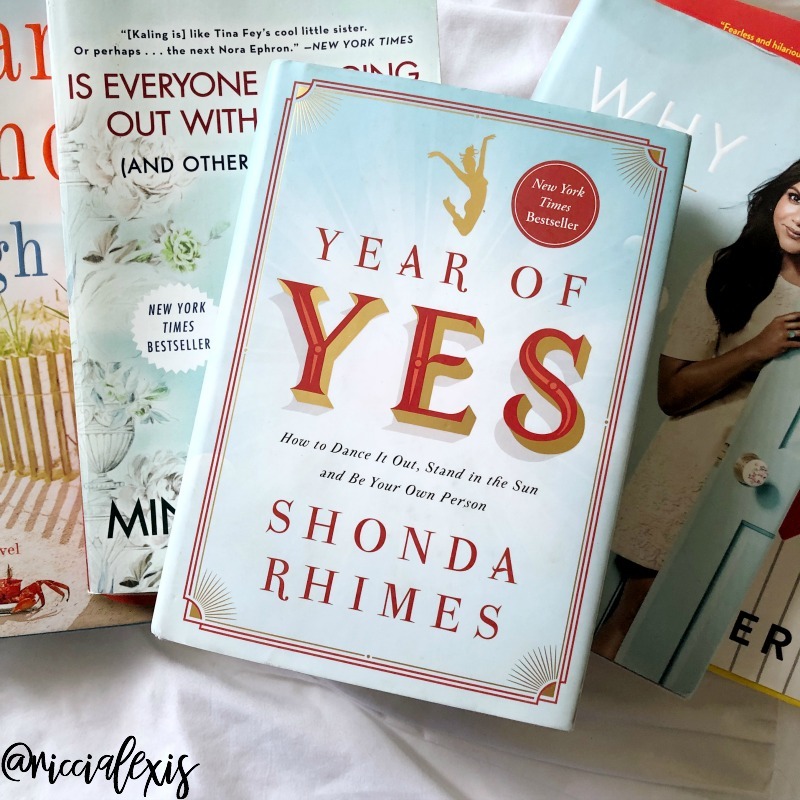 Time to talk about what I’m reading/what I read in July!! Yasssssss! If you know me at all then you know how much I love to read and have since I was a little girl. This is also one of the posts that I really look forward to writing each month because y’all always leave some great book recs in the comments and on my DMs. I love all types of books but especially chick lit, murder/mystery and YA books. I am also one of those weirdos who has to read a book before I see the movie of anything, HA! Why do I write this post each month you ask? Because one of my New Year’s Resolutions was to read 100 books this year (up from last year’s 50 which I crushed) and as of this month I am half way through the year and I have read a total of 68 books! I think I’m going to crush my goal again and will have to increase my goal for 2019! So anyway, let’s see what books I read this month!! ONE. The Night Circus by Erin Morgenstern. I feel like I resisted reading this book for a long time and I’m not sure why?? It kept popping up in my book recommendations and I kept ignoring it and I’m glad I finally read it. I loved this book! It was long but really good! It’s about two magicians who are in a contest that involve a magical night time circus that travels the globe. It’s a really interesting read if you are into magic, mystery and maybe even a little history? TWO. Crown of Midnight by Sarah J Maas. This was my first YA book of the month and I didn’t realize it was the beginning of a big series but it’s really good! I am currently reading the third book and I’m hooked! It’s about a girl who is a trained assassin who is competing for a chance to become the King’s Champion. She goes through many tests and hopes to be the last one standing and the Champion at the end of the book. She also discovers some strange things going on behind the scenes of the competition and makes some new friends and allies along the way. Overall I really loved this book and highly recommend it! THREE. 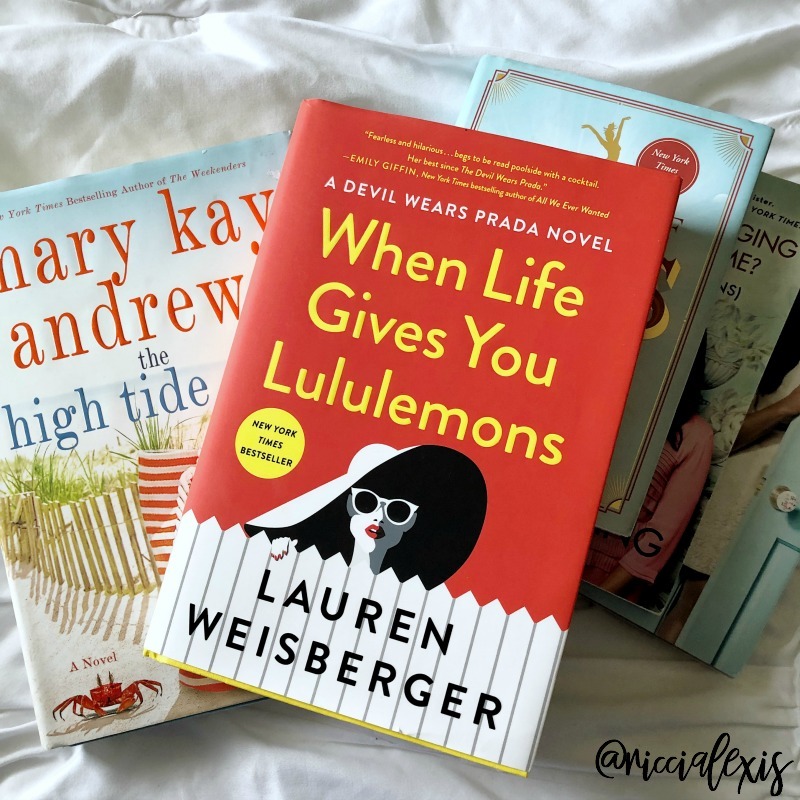 When Life Gives You Lululemons by Lauren Weisberger. If you loved The Devil Wears Prada then you will love this book. It’s actually the third book in the series and the first one strictly about everyone’s favorite mean girl assistant, Emily! To see what Emily has been up to you will have to read the book but I can tell you that I loved it! It’s great chick lit and very suburban mixed with a little big city thrown in! It’s so good!!! FOUR. The Sleepwalker by Chris Bohajalin. Now it’s time for some murder/mystery books, well book. HA!. This book is about a Mom who is a sleepwalker and goes missing after sleepwalking one night and her oldest daughter tries to figure out what happened after the case stalled and the police don’t seem to want to help. The end has a huge twist and made me want to reread the whole book again! FIVE. Is Everyone Hanging Out Without Me? by Mindy Kaling. It’s no secret that I’m a huge Mindy Kaling fan! 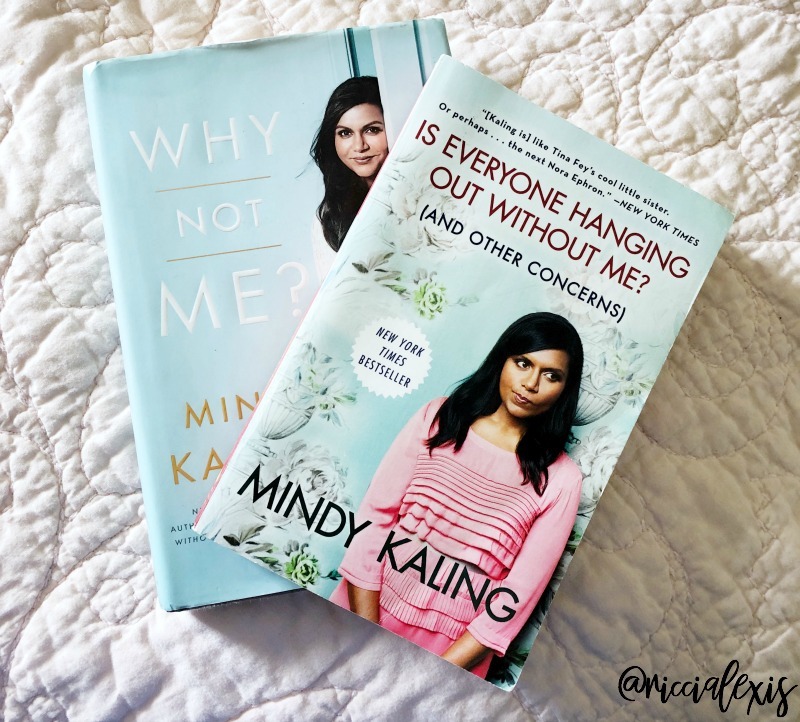 After falling in love with The Mindy Project I ordered both of her books and finally got around to reading them last month! The first book, Is Everyone Hanging Out Without Me? is about her life and has some pretty funny stories. I loved getting to know Mindy more and now I need her to write more books! SIX. Why Not Me? by Mindy Kaling. 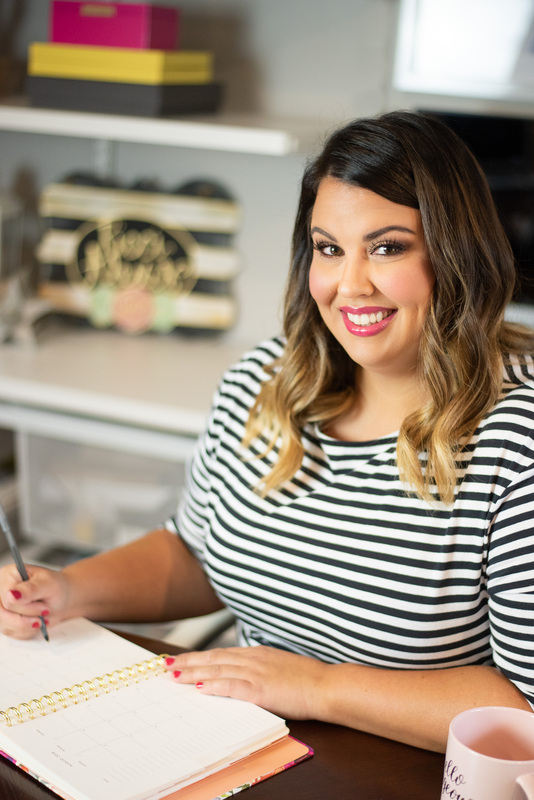 Mindy’s second book, Why Not Me? is all about her career and is just as funny and “real” as the first. If you are a Mindy fan then you have to check out her books!! SEVEN. 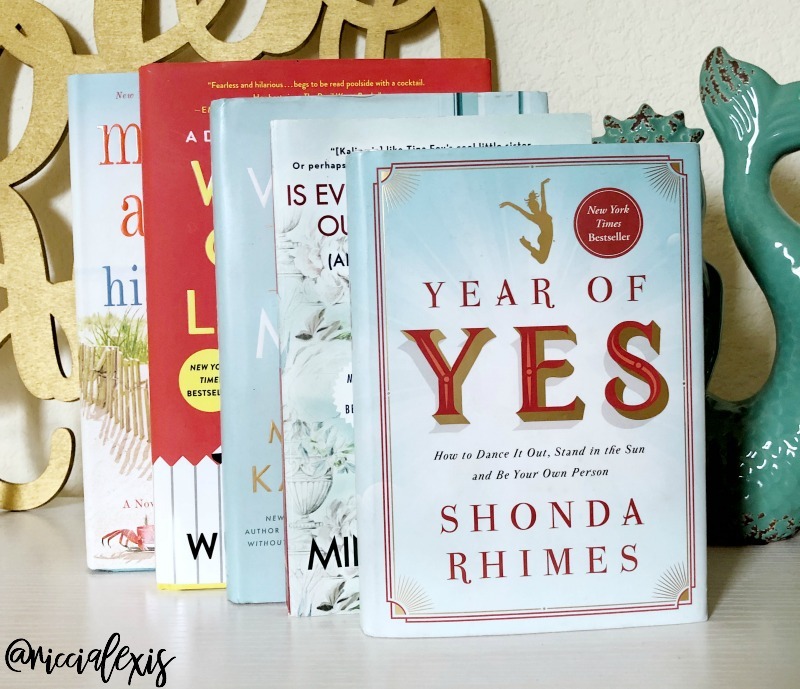 Year of Yes by Shonda Rimes. Shonda Rimes. The QUEEN of Thursday night tv. The creative genius behind one of my favorite tv shows of all times, Grey’s Anatomy. Shonda gets real AF in this book and I can relate SO HARD. If you need a feel-good, pick me up, make you want to go out and change the world book then you need to read this book. I love all of the tv references and hearing all of Shonda’s stories. This book makes me want to have my own year of yes and get out of my comfort zone. Check it out!!! EIGHT. 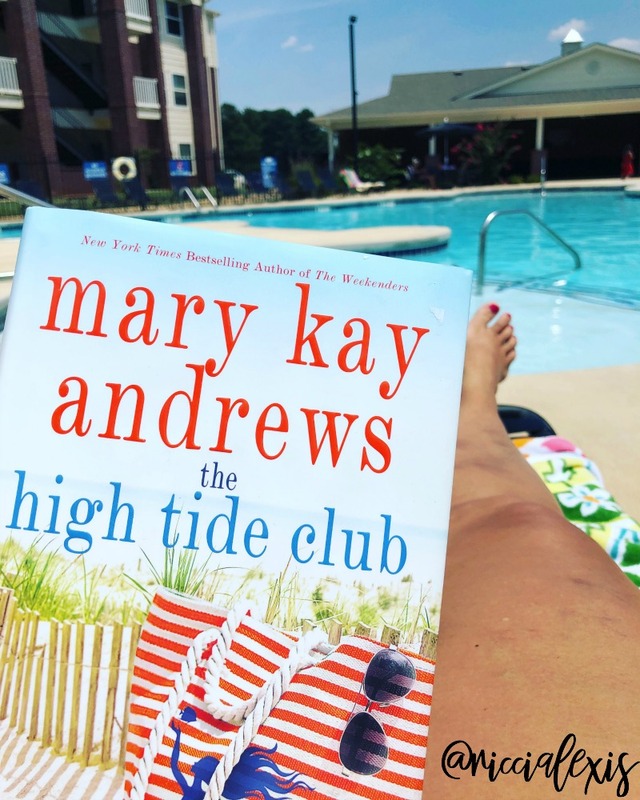 High Tide Club by Mary Kay Andrews. If you love southern chick lit then you will love this book. I have read the majority of Mary Kay Andrew’s books and I would reread all of them, they are really that good! This book is about a mystery, an old house, best friends and a single mom with a secret. I love a good mystery and this book has several, you have to check it out! NINE. Three Dark Crowns by Kendare Blake. The last book I read this month is the beginning of another YA series. Three Crowns is about three triplet Queens who are each born with a special ability and are about to come of age and will have to fight to the death to see who will win and rule the entire kingdom. Who will be left standing?? And that, my friends, is what I’m reading in the month of July. 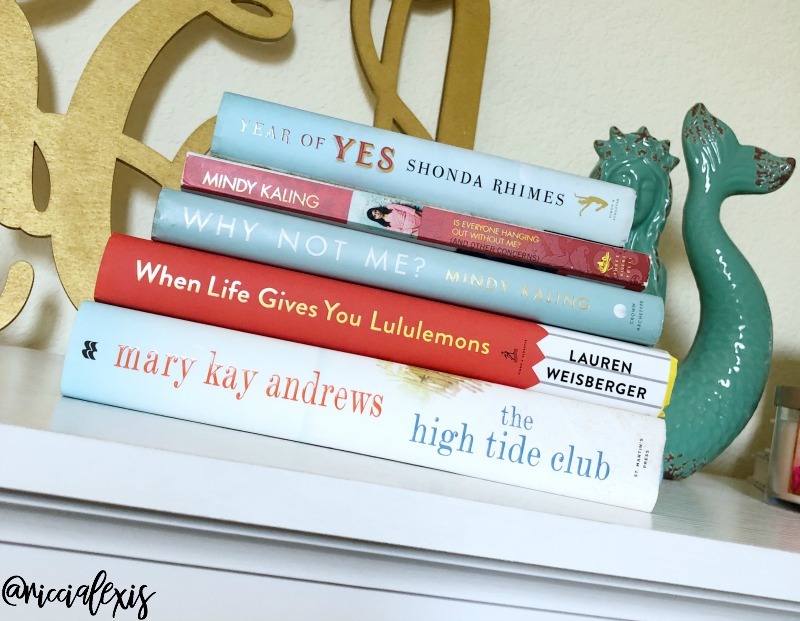 If you want to catch up on my previous month’s book posts here are January, February, March, April, May and June! The Sleepwalker sounds like a great read. I am always up for a murder mystery. I will have to add it to my beach reading list. I think the Sleepwalker sounds really good. I need to find more time to read-they all look pretty good. I do believe I will start with When Life Give You Lemons. The title just really stood out for me. Been on vacation so behind on my reading. I saw the High Tide Club when I was at the store the other day and I almost picked it up and I still may once I finish the book I am reading. As for the other books you mentioned I will check them out as well as I love finding new Authors work to check out. You always have the best reads. I started the “Years of Yes” a couple of years ago. However, I couldn’t get into it. I’m going to revisit it again. I am always looking for good books to read. I travel quite a bit and I need something to read while I’m sitting on the plane. I love some of these recommendations and I will be using them. I love Mindy Kaling she is so talented so i have to read this book. Your other choices seem great too but I don’t have much time left this summer. I like this selection of books. There is a good variety of books here. The year of yes is one that Ive heard good things about!! Awesome book suggestions! I had no idea The Devil Wears Prada was actually the first title in a series. Now I can not wait to read them all. I loved that Mindy Kaling book too. She’s so funny! I also ready the Lulumons book. Emily cracks me up. I like how she’s so blunt. These are some great choices! I really would like to catch up on my reading. I think I’ll enjoy “When Life Gives You Lululemons” it sounds like a good read. All of your choices are though! I haven’t read any of those, but they all sound good. I’ve heard of a few, but I’m so behind on reading. The kids and my blog keep me busy (too busy!). These sound like some great books. My daughter loves the Crown of Midnight series by Sarah J Maas. Great selection of books to read. I wish I have a lot of time to read the books I have here. I like your list of books I may grab some of this for our next trip. I like reading while waiting for our next flight . Or simply relaxing at the hotel pool with drinks and a good book like this. Yes girl! There is nothing better than relaxing by the pool with a good book!! I just finished reading Stephen King’s The Outsider. He’s one of my faves. I may have to add When Life Gives You Lululemons to my reading list. Thanks for the recommendations. I LOVE me some Steven King! I need to check out The Outsider! I would love to read some of these books. I am currently reading Crazy Rich Asians. Thanks for sharing! Great reading list! I’m not reading anything because I just got settled back into a normal routine after summer. I’ll definitely check some of these out! 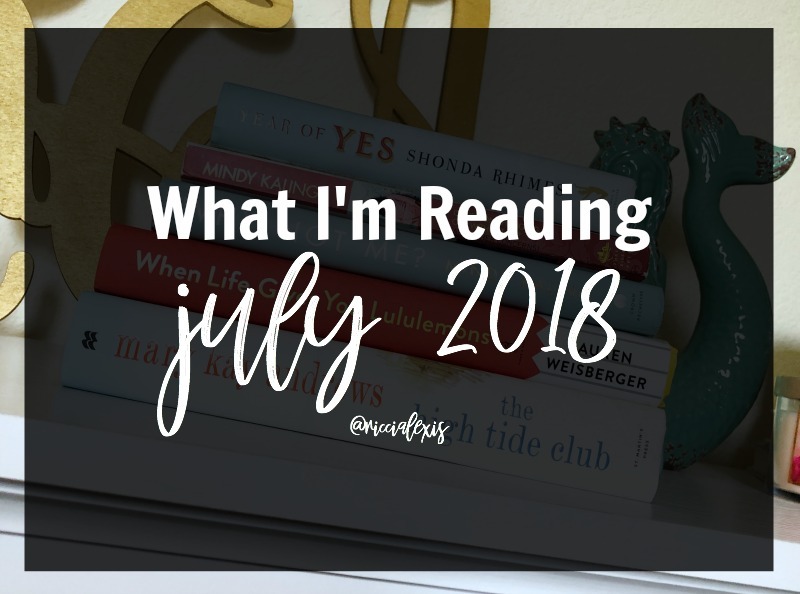 You read some of my favorites in July! I absolutely love the Throne of GLass series. Queen of Shadows is my favorite in that series!